Don’t see your vehicle? Please contact us directly for solutions. American Power Systems, Inc.’s high output alternators and dual alternator systems provide unparalleled, continuous high power that our clients depend on to get the job done. 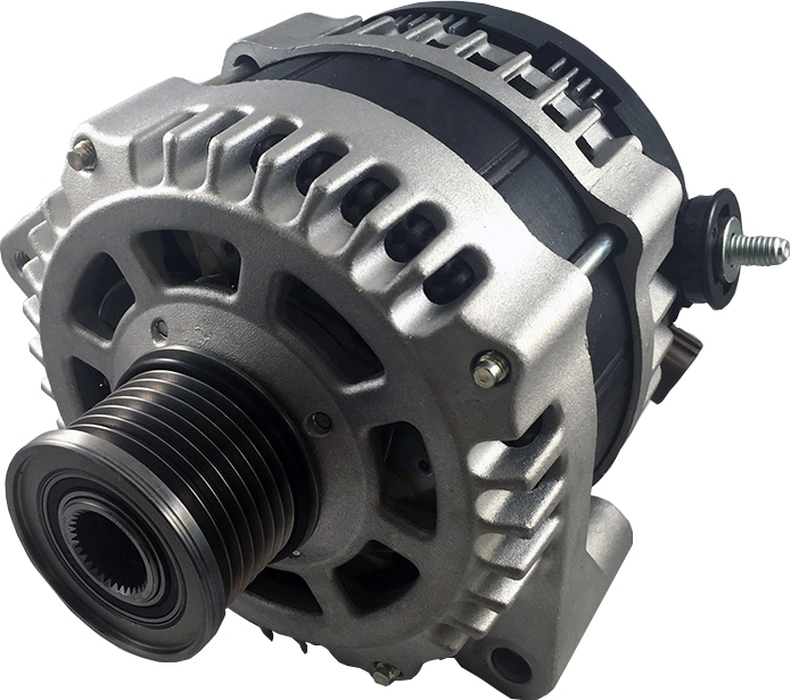 APS specializes in high output alternators for armored and security vehicles, commercial and fleet vehicles such as coaches and work trucks, and marine vessels for cruising and racing. Higher output means you can run the mission-critical equipment you need to complete more work, keep end-users safer and better connected, provide more cabin comforts, or even improve your competitive racing game on the water. Our clients use APS high output alternators to energize equipment such as anti-IED jammers, communication systems, satellite equipment, cooling systems, power tools, work-truck systems, and more. We also use our alternators in conjunction with alternative, off-grid and advanced energy solutions, such as our lithium-ion battery storage systems and custom-built onboard portable DC power generators (also called auxiliary power units). We proudly design and build our signature high output alternators in the United States. Compact and lightweight. APS high output alternators pack more power into a smaller, lighter case. Clients often are surprised to learn how much power we can fit into the stock alternator position. APS alternators can double or triple a vehicle’s OEM output. With a dual alternator solution, we can provide as much as five times more power. High efficiency. Most APS alternators are rated as highly efficient, which denotes efficiency of 80 percent or greater. High efficiency units require less energy from the vehicle’s engine and therefore consume less fuel. Therefore, these units cost less to operate and contribute to less engine wear than other options. Self-cooling. 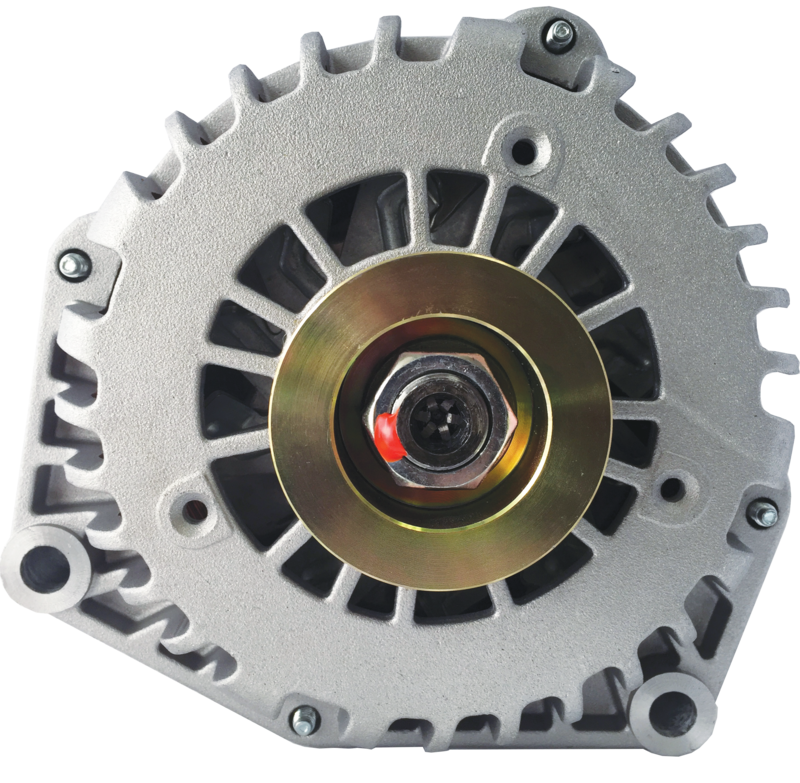 APS high output alternators self-cool with singular or dual internal fans and high-performance heat sinks, allowing the user to work these units hard without overheating or causing damage to other equipment. Tested, proven durability. With over 2,000 vehicles currently in the field and 18,000 test miles logged at the Nevada Automotive Test Center, our high output alternators withstand the harshest environments to deliver stable, dependable power. Please note: Table is best viewed on a desktop, or in landscape on a mobile device. View a listing of popular applications and corresponding APS alternator solutions.